Planning for a trip abroad can feel like a daunting task. You’ll have a million questions running through your mind and will be searching furiously around the internet to find answers. Probably the biggest worry you’ll have when setting off on a journey is how you’ll pay for things and manage funds while on the road. We’ve been on multiple, long-term trips and know the importance of having a wide variety of currency and alternative forms of payment on you at all times. You never know what will happen while you’re away, and being stuck with no money in a foreign land is never a good thing. Before setting off on a trip (no matter how short, or how long), speak with your bank to find the best chequing account for you. You’ll want an account that has unlimited overseas debit transactions, and one that has minimal, or no, monthly fees. If your bank and the local ATM machine are charging you per transaction, and you’re paying a monthly account fee, the cost of taking out a few bucks overseas will really add up. These fees will need to be taken into account when figuring out your daily travel budget, and could be the difference between having a beer at the end of the day, or just going to bed! If you’re Canadian, check out the All Inclusive Banking Plan with TD Canada Trust. For $29.95/month, you will receive unlimited withdrawals and won’t pay any network fees on non-TD Canada Trust ATMs, including ones used overseas. If you keep a minimum of $5,000 in the account each month, the monthly fee is waived and the account is free! No matter which chequing account you choose, we suggest trying to obtain more than one debit card. If there are two of you travelling, consider opening a joint account and you’ll each be given a debit card. If you’re travelling solo, it may be harder to get an extra card as most banks won’t issue multiple cards. Consider adding a close friend or family member to your account and have the bank issue them a card as well, then take the spare card with you. The chances of an ATM eating your debit card, it being stolen, or you losing it are quite high. Having a back-up card is a good idea. Not everywhere in the world will accept payment by credit card, in fact, many places don’t. However, you can use your credit card at the ATM machine to withdrawal funds in an emergency. Did you know that if you use your credit card overseas, the interest starts accruing immediately? A good way to avoid this is to overpay your credit card (say $200 or so), that way you can avoid those nasty interest charges as well as many network fees that may be charged. Before setting off on a trip, overpay your card and know that if you need to use it at an ATM machine, you won’t be paying any fees! We highly recommend carrying both a MasterCard and a Visa credit card as not all ATMs abroad will accept both types. 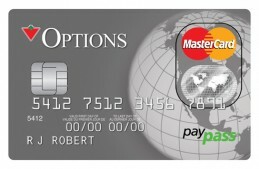 (Note: MasterCard uses the Maestro Network while Visa uses the Plus Network. You can match the symbol on the back of your credit card to the ATM you wish to use). 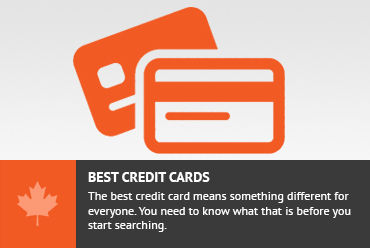 There are so many different types of credit cards for Canadians to choose from. Figure out how often you think you’ll be using your credit card, and then decide on one that’s best suited for you. Do you want a card that will earn travel points? Interested in a credit card with low (or no) annual fee? Will you be using it frequently, or just in emergencies? Do your research and find the card that’s right for you. Whether you’ll be using your credit card to make purchases while you’re away, or just in emergency situations, having the comfort of credit is important when travelling. Having some local currency on you during your travels is a must. Use your debit or credit card to withdraw local funds from the ATM machines at your destination to pay for hotels, food, tours and transport. Since you’ll probably have a chequing account that will allow unlimited monthly withdrawals, just take out enough money to last you a week, it’s not wise to carry around a lot of cash, unless you know you won’t be seeing an ATM for a while. No matter where in the world you are, American money will be accepted, if not prefered. We always suggest having a few hundred dollars on you in case of an emergency. What if there aren’t any ATMs around, or the machine is out of local money, or it isn’t working? What if your credit card has been stolen? Having US cash can be a lifesaver. All you need to do is take the American money to a money changer, or bank, to receive local currency (albeit, usually at a worse rate than the ATM machines). In some cases, vendors will accept the US dollars straight across without having to exchange to local currency first. In some parts of the world, US dollars are traded along with the local currency. In Cambodia for example, you may pay for something with local currency, but you’ll be given back change in a mix of US and local money. We feel strongly that combining these four types of currency is the best way to travel. No matter what situation you may find yourself in, you’ll be able to get out of it by either using your debit card, credit card, local currency or US dollars. Traveller’s cheques are such a hassle and in most places, they aren’t even accepted anymore. Regardless of which bank you decide to choose, and which credit card company you end up going with, make sure to contact them beforehand and advise them you’ll be travelling abroad. If you don’t, when they see your debit card being used in Kenya, Kazakhstan or Kosovo, they’ll consider that to be suspicious activity and you’ll probably end up with a frozen bank account, which isn’t ideal. Give your bank a call and let them know your travel plans. 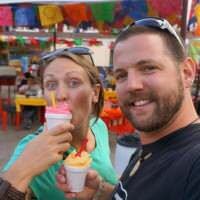 How do you choose to pay for things abroad? Share your currency tips with us below! I know that my bank in the US will provide you with foreign currency at the standard exchange rate. Depending on how much you convert, there can be a small fee, but you still wind up getting a better exchange rate than if you wait until you are at your destination. I always like to have local currency on me, if possible, before I arrive at my destination. Makes things much easier, especially if you arrive after things have closed for the evening. Don't subscribe All Replies to my comments Notify me of followup comments via e-mail. You can also <a href='https://www.creditwalk.ca/comment-subscriptions/?srp=3380&srk=2648578ecea05c83754707575dc5a494&sra=s&srsrc=f'>subscribe</a> without commenting.